Tag Archives for " Sara McGuire "
How do you maintain a consistent level of quality across all of the content on your site? In order to provide a solid baseline for content for your site, a well documented and easy to follow style guide is necessary. 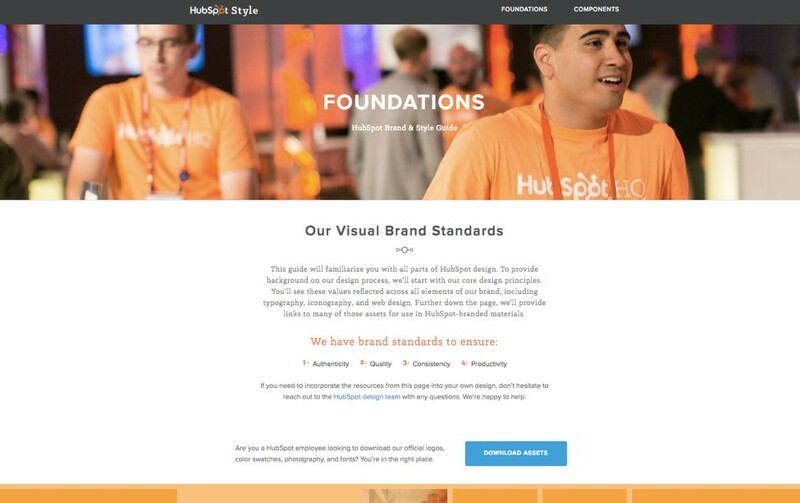 One of the most important parts of maintaining consistent branding across your site is a style guide. A style guide will instruct new writers on the particulars of writing for your site like certain spelling, citation style, image attributes, and header formatting. The problem is, a lot of people don’t read carefully. So like any other piece of content you create, your style guide needs to engage and maintain the attention of readers. Rather than tell you what information to include in your style guide (plenty of articles have been written on the topic, this one being a particularly good one), this article will walk you through how to write an authoritative style guide that people will actually read and follow. 1. Write your style guide in the tone you want contributors to use. Basically, lead by example. Demonstrate the kind of writing you would like to see from them. That being said, the goal of a style guide isn’t to intimidate contributors–you should want to get them excited to write for your site while also making it clear that you have certain standards that you want them to meet. Whatever tone you go for, it’s important that your style guide is direct. 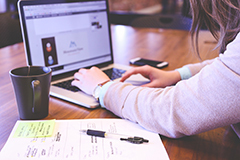 Depending on how much content you have coming through your pipeline, you may have to be quite strict with your requirements. Keep your style guide concise and make it very clear what you do want in contributor content and what you do not want. 2. Make what you do want clear. You might assume anyone contributing to your site would take the time to read through some other content on your site, but here’s the thing: a lot of people don’t. It could be because they are reaching out to a bunch of different sites to contribute to at once, or because they simply didn’t want to bother. Whatever the case, you can give them an extra nudge by reminding them to look at some other content on your site before beginning their writing. Also, link to a couple of examples of top content that you would like them to strive to emulate. A smart writer will know that while having your own distinct voice is important, it’s also important that content is consistent with a site’s particular brand. 3. Make what you don’t want clear. There are probably things you absolutely don’t want in your site’s content, like certain overused buzzwords or corny stock photos. These should be stated explicitly in your style guide, along with the warning that contributors who include them will be asked to remove them. Indicate words you want to be spelled a particular way. For example, you might want contributors to write “call to action” and not “call-to-action” or “click bait” and not “clickbait.” I suggest reading this intensive list of weak phrases and words to avoid in your writing. 4. What tools does your brand use? Every site has an arsenal of tools for design and SEO that they use regularly for their content. Point contributors to those tools so that their content will meet your site’s standards. 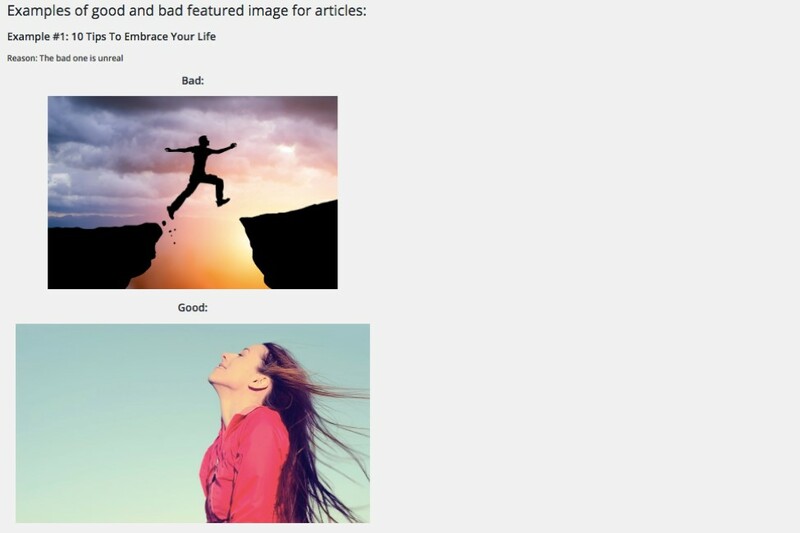 For example, if you have specific guidelines about what visuals they should or shouldn’t use, you can direct them to a particular stock photo site or chart maker that you recommend. You may also recommend that they run their content through a proofreading tool to eliminate surface errors. 5. Demonstrate your brand’s creativity. Style guides are typically written in word docs and sent to prospective contributors. But if your site’s traffic is picking up and you are getting more pitches for guest contributions,or if you want your style guide to reflect the outside-the-box culture of your site, you may want to take a more visual and interactive route. HubSpot’s style guide is a great example of this. They’ve divided the page into sections for visual content and written content. They’ve also dedicated a section to their brand values. The amount of detail you put into your style guide will create a precedence for the quality of content you expect from contributors. 6. Proofread your style guide! This seems like such an obvious point but trust me, I’ve seen enough style guides with typos and surface errors to know this warrants repeating. Easily avoidable surface errors are one of the most immediate blows to credibility. Think about it: would you feel as hard-pressed to use an acute eye to detail in your content if the site you were contributing to didn’t seem like they even read their own style guide closely? Just take the extra 20 minutes, or however long, and proofread your style guide. The more concise and clear your style guide is, the better the quality of your submissions will probably be. So take the time to consider exactly what kind of content you want guests to contribute. Have any questions? Asks below. Sara McGuire is Content Editor at Venngage, a free and easy to use infographic maker. When she isn’t writing research-driven articles for a number of business and marketing sites, she enjoys reading graphic novels and hanging out with her cat.